Aleksander Husoy's classes use video games as text and context at the school in Norway. A group of Norwegian high school seniors sit in religious studies class, absorbed by a moral conundrum unfolding in the midst of a zombie apocalypse. Their teacher, Tobias Staaby, is screening a scene from the critically acclaimed video game, The Walking Dead, which depicts a knotty ethical dilemma confronting the group of rag-tag survivors: Supplies are running low and only four food items are left to ration, but there are 10 hungry mouths to feed. Who should eat? The grumpy old guy? The injured teen? The children? The leader? Once the class reaches a consensus, they have to justify their choice with one of the concepts they’ve learned from moral philosophy. Was their decision guided by situational ethics, utilitarianism or consequentialism? 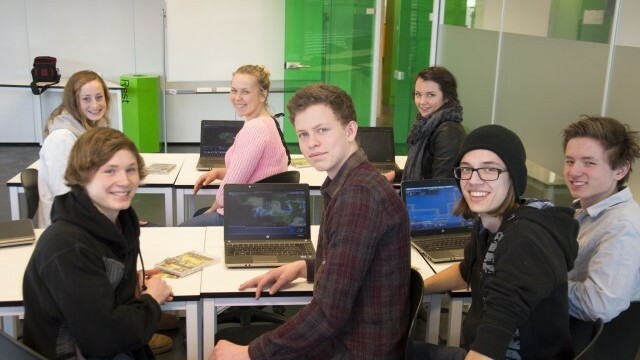 This is one instance of how commercial video games are used at Nordahl Grieg Upper Secondary, a public high school located in the coastal city of Bergen in Norway. Two years before the school opened in 2010, principal Lin Holvik was mandated to build a school for the future, and she focused on creating both the physical and curricular space for teachers to experiment with video games. The vision materialized into a modern building encased in high glass windows and translucent interior walls that convey an atmosphere of transparency and openness that reflects the school’s pedagogical philosophy. “We have a sociocultural view of learning,” explained Holvik, “and believe in sharing and constructing knowledge together. We also strongly encourage innovation and believe that freedom to fail should be much more emphasized.” And so fittingly, video games have been used to help foster collaboration and an appreciation for the art of failure. “We have been well aware of and interested in the potential of games in school for a long time,” Holvik added, describing how video games were part of the school’s DNA. So when English and Social Studies teacher Aleksander Husøy approached her about using the history simulation game, Civilization IV, she welcomed the opportunity with open arms. Husøy pioneered teaching with video games at Nordahl Grieg, paving the way for his colleagues to follow suit. Like many teachers today, he’s a lifelong gamer who credits his playing history-based video games as a factor in his decision to major in political science. He teamed up with colleague Vegard Relling and used Civilization IV as the linchpin in a four-week cross-curricular unit combining Norwegian, English and Social Studies. The first obstacle was getting students up to speed with the game’s elaborate interface. This might seem like time away from “real learning,” but studies increasingly support the idea that learning to play a complex game is, in and of itself, a valuable exercise in cognitive calisthenics. To ease the familiarization process, experienced players were strategically grouped with novices, which Husøy observed altered the class’s social dynamic. “Students became more willing to share and collaborate through working with this project. There grew a community spirit that occurs when a group of people are doing something unique together.” This unintended consequence played well into the school’s sociocultural aim of co-constructing knowledge. The game’s diplomacy mechanics and customizable scenarios facilitated the study of international relations in Social Studies. The class built simulations and played through various outcomes to unpack contemporary conflicts and reflect on resolution strategies. “Though the model is not a perfect representation of the real world, the game gives students a deeper understanding of the subject matter,” said Husøy. He feels that Civilization holds a unique value in letting students experiment with “what if” scenarios to see how changing variables like political structures or social policies affect and alter the course of a nation. The unit concluded on a metacognitive note, as students reflected on gender issues in games, video game addiction and the unique affordances and limitations of video games as a medium. 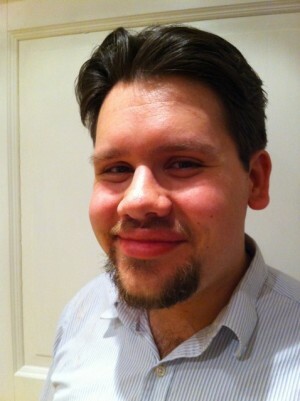 Encouraged by Husøy’s work, physics teacher Jørgen Kristoffersen decided to experiment with Portal 2, a venture that came at no cost due to the free educational licenses available from Valve, the game’s publisher. Portal 2 challenges players to solve elaborate puzzles to escape the labyrinthine Aperture Science Laboratory complex. They manipulate cubes, redirect lasers and tractor beams, time jumps, and teleport through walls, all of which rely on the game’s physics engine. Kristofferson’s class played with variables affecting in-game object behavior and freely designed physics experiments with Portal 2’s flexible level editor. “Should we have a large mass and height? Drop 50 kilograms from 50 meters? Oh, the air resistance kicks in – let’s shorten the height," said Kristofferson, illustrating how his students toyed with the power of gravity. “Real world experiments are important and the game can’t replace them,” he said, “but the game gives students a different perspective on the laws of physics, where mechanics are simulated by a computer to create a realistic gaming environment. It can also be a great source of discussion when the laws of physics are broken!” Students think about how the simulation deviates from reality and transform what might be perceived as a game’s shortcoming into a critical thinking opportunity. Also inspired by Husøy, Tobias Staaby uses video games to teach units ranging from ethics to narrative and cultural history. “I wanted to use video games as something more than chocolate covered broccoli,” he said. “It’s important that video games are regarded as useful and engaging learning tools in their own right.” To that end, he uses popular commercial games that would not outwardly seem suitable for the classroom. Elder Scrolls V: Skyrim, the sword and sorcery action role-playing game, is set in a rugged, Scandinavian-inspired wilderness that echoes Norway’s natural landscapes. Staaby leverages this connection to teach Norwegian romantic nationalism, a 19th century independence movement that set out to document uniquely Norwegian cultural elements and natural settings to affirm their national identity. Like their historic predecessors, students explore the wilds of Skyrim in search of features and landscapes that aligned with the aesthetics of romantic nationalism. “Video games do not give you the answers up front. You have to look for traces of national romanticism in Skyrim. It does not come by itself,” explained Staaby, identifying a video game’s potential for an active and participatory approach to learning. In each case, game-based learning seems to be a misnomer, as the learning is not based on games, but enhanced by them. Commercial games are repurposed and modified to support curricular goals, as opposed to driving them. Of course, learning can and should also be based on games, as they are valid texts that can be studied in and of themselves, but it is important to see video games as elastic tools whose potential uses exceed their intended purpose. The Norwegian Center for ICT in Education, which works on behalf of the Ministry of Education, now takes video games seriously, and has designated two officials, Jørund Høie Skaug and Vibeke Guttormsgaard, to undertake a national project to integrate games in schools. “With a great team of young teachers with game experience, and with time to plan and develop their game pedagogy, Nordahl Grieg now shines as an example and an inspiration to other schools,” said Guttormsgaard. Skaug added that they are developing a Civilization, The Walking Dead and Portal 2 teaching guide with the gamer-teachers at Nordahl Grieg. The school’s transparent walls not only speak to its open approach to learning, but also invite the rest of the country, and perhaps the world, to look inside and see how video games can play an important role in the school of the future.